Last night, Notre Dame burned. This morning, we find that more than we could have hoped for was spared of its interior. The roof and spire may be gone, and soot may cover the walls and mangled debris may have reached the floor, but Notre Dame still stands. And most important of all, the reason of its existence still remains: the presence of the Lord, Jesus Christ under the appearance of bread and wine, the sacraments given to us who wish to follow Him, as well as some of the symbols of the salvation He wrought for us. But more than a monument to history and the civilisation in which we live, Notre Dame is a church. It is the home of God, a prefiguration of heaven, the place where we come to encounter Him as closely as we can. It manifests the presence of God in the heart of Paris, in the place where that great city began, and thus also in the heart of all the works and endeavours we undertake. Last night’s fire and its timing, as Holy Week begins, can be understood symbolically, regardless of the cause of the fire. The scenes of people praying and singing as the cathedral burned give us hope and remind us that God hears us at the difficult times in our lives, but He remains present when things are going well and we tend to forget or ignore Him. Like Notre Dame, He is always there. Today, we may mourn the damage done, but we may also rejoice in what remains. Notre Dame still stands. God is still with us. *Last October, my wife and I had the chance to visit Notre Dame. By chance we participated in a Mass celebrated by Archbishop Aupetit and Bishop Freddy Fuenmayor Suárez of Los Teques, Venezuela, who gifted an icon of the Blessed Virgin to Notre Dame. The cathedral was filled to capacity and the mood was celebratory. The joy of the Hispanic community was palpable and infectuous. A fond memory, which made yesterday’s developments all the more painful. Despite assurances to the contrary, the German episcopate as a body continues to be seen by many as plotting a course independent of Rome when it comes to questions about the sacraments, the priesthood and synodality. That said, several bishops have recently spoken out in defence of one topic which, certain circles claim, should be abolished if the Church is to change for the better: mandatory celibacy for priests. The bishop likens this act of self-giving, which includes the priest sexuality, to what a husband and wife do in marriage. Rather than giving themselves to each other, with body, soul and sexuality, a priest gives himself to God. Not blind to the challenges facing the Church and society, Bishop Schwarderlapp nonetheless concludes that allowing priests to marry is not an answer. The new bishop of Fulda, Michael Gerber, who will be installed today, has also said that he is opposed to abolishing mandatory celibacy, and prefers to focus instead of assuring that priests remain part of a ‘network’, thus preventing any of them from falling prey to loneliness. 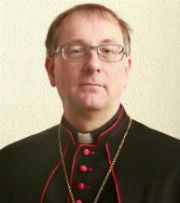 Other bishops, such as Peter Kolhgraf of Mainz and Georg Bätzing of Limburg, have expressed their support for voluntary celibacy, showing that, if anything, the German episcopate is no monolith. Although he had vanished from the spotlight in recent, Cardinal Danneels’ near-decade’s worth of retirement was one of the defining periods in his long years of service to the Church in Belgium and across the world. Retiring from the country’s premier see in 2010, Cardinal Danneels made way for a successor who in many ways was his opposite, although Archbishop André-Joseph Léonard shares the cardinal’s innate modesty and prayerful attitude to life. Following the election of Pope Francis in 2013, and Archbishop Léonard’s retirement in 2015, Cardinal Danneels returned to the world’s attention. Identified by some as a kingmaker playing a pivotal role in the conclave of 2013 (one of two in which he participated), Cardinal Danneels was clearly a trusted cooperator of Pope Francis, who selected him as one of his personal choices to take part in both assembles of the Synod of Bishops on marriage and family in 2014 and 2015. And it is no secret that Cardinal Danneels himself was very happy that Francis became our pope. But this has rather been an epilogue to a long life, of which more than 60 years were spent in service to the Church. Godfried Danneels was born in 1933 and was ordained in 1957 by Bishop Emiel-Jozef De Smedt of Bruges. 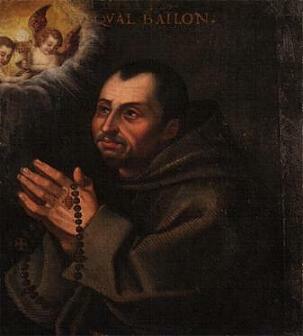 Danneels spent his priesthood as a professo of liturgy and sacramentology in Bruges and Louvain. In 1977 he was appointed as bishop of Antwerp. He was consecrated by Cardinal Leo Suenens, the archbishop of Mechelen-Brussel. A little over two years later, he left Antwerp to succeed Cardinal Suenens in Mechelen-Brussel. As Belgium’s only archbishop, Danneels was the metropolitan of the Church province. He also served as president of the Belgian Bishops’ Conference and vicar of the military vicariate of Belgium, which was promoted to an ordinariate in 1986. In 1983, Pope St. John Paul II created him a cardinal, with the basilica of Santa Anastasia as his title church. Cardinal Danneels served as cardinal in several dicasteries including the Congregation for Bishops, the Congregation for the Clergy, the Congregation for the Evangelisation of Peoples and the Congregation for Divine Worship and the Discipline of the Sacraments. Kerknet has an obituary in Dutch. The fate of McCarrick – a new impulse in the fight against abuse? A fairly brief note, the first from the Holy See press office today, but one with serious ramifications. The Church’s progress in the fight against sexual abuse, especially in the last few weeks leading up to the bishops’ meeting about that topic in Rome, has been heavily criticised. While progress definitely exists, many say it’s not going fast enough or isn’t being done thoroughly enough, and that past mistakes and ill judgements continue being made today. This decision from the Congregation for the Doctrine of the Faith, however, should serve as a reminder and an impulse that no abuser can hide behind the comforts of his or her office. Mr. McCarrick has been what is usually called ‘laicised’, which is not really the right term, as many have pointed out that it seems to mean that being a lay person is somehow a step below being a cleric. As the above publication states, McCarrick has been ‘dismissed from the clerical state’. He remains a priest, as all sacraments are eternal and cannot be revoked, but he no longer has any rights or duties associated with that state. He can not present himself as a priest or bishop, which includes dressing like one, can’t celebrate any sacraments (apart from Baptism, which anyone can confer in an emergency) and can exercise no rights regarding support from any parish, diocese or religious movement, beyond those extended to any random passer-by. The statement also indicates exactly what McCarrick has been found guilty of: solicitation in the Sacrament of Confession, ie. improper advances or conduct during a person’s confession; sins against the Sixth Commandment, “You shall not commit adultery”, which relates to proper sexuality regarding one’s own body and the relationships with others; all this made worse by the power McCarrick held as priest, bishop, archbishop and cardinal. In the vast majority of cases, situations of sexual abuse are in the basis abuses of power. He is probably the most powerful and most criticised European cardinal at the moment. As president of the German Bishops’ Conference, member of the Council of Cardinals assisting Pope Francis in his reforms of the Curia, head of one of the largest archdioceses in Europe, and former vice-president and president of COMECE (the Commission of the Bishops’ Conferences of the European Community), 65-year-old Cardinal Reinhard Marx is no stranger to media attention, headlines and the accompanying support and criticism that comes with it. He is also, like all public figures, the target of plenty of calls for action, suggestions of which direction he should take the Church (or his part of it) in by leading by example and changing what he can (even if that power is sometimes exaggerated by those who address him). At this moment, the cardinal’s theoretical desk is occupied by two such calls: one, an appeal from eight theologians urging him to make all those old liberal chestnuts a reality: abolish mandatory celibacy, allowing women to become priests, a change in how the Church relates to homosexuality and a limit to her power. 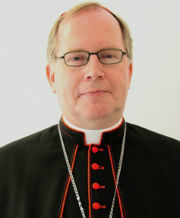 Another appeal, issued several weeks ago, comes from a group of priests from the Archdiocese of Paderborn (where Cardinal Marx was an auxiliary bishop from 1996 to 2001) takes a completely different direction: it, rather harshly, calls for the cardinal to return to the faith of the Catholic Church and the sacraments, which, they claim, he has been abusing for his own personal and political neo-Marxist ends. So, if the theologians and the Paderborn priests are to be understood, here we have a cardinal who is a neo-Marxist using the sacraments and the faith as social and political tools, and at the same time upholding the traditions and teachings of that same Church… I guess he can’t win, really. Of course, it is somewhat misleading to equate these appeals too much. The first is a consequence of the abuse crisis in which the Church in Germany is equally embroiled, and which it is currently addressing, following a report detailing what took place in the past decades. 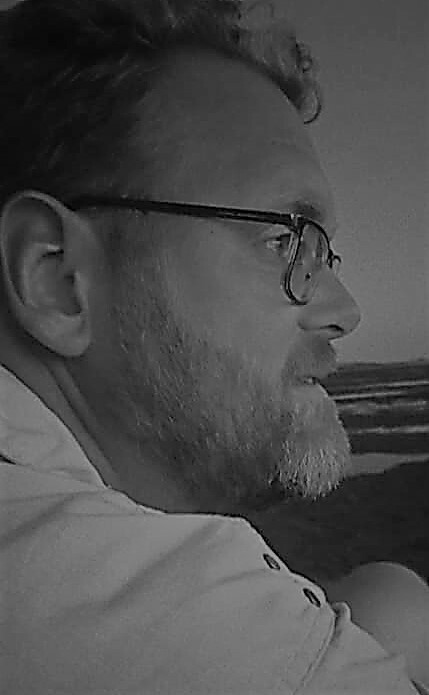 The second was triggered by Cardinal Marx’s social activity, which is inspired by his faith and duties in the Catholic Church, and which have led to him being considered a leftist, even Marxist, activist too much influenced by the spirit of the times. That said, this accusation comes from people who, too often, automatically mistrust that spirit. Like Pope Francis, Cardinal Marx seems more concerned with the practicalities of daily life and how the Church should respond and act in the situation of tragedy and triumph of everyday life. The teachings of the Church, her sacraments, her doctrine, seem to disappear from the spotlight sometimes, but it would be an untruth to claim they are therefore absent. Words from Cardinal Gerhard Müller in a recent interview for Dutch newspaper Trouw. The 70-year-old German prelate has been Prefect emeritus of the Congregation for the Doctrine of the Faith for almost 18 months now, but still looks with mild amazement at his letting go as the head of the premier Curia dicastery. He assumes that some of the pope’s “so-called friends” made him believe certain things, which let to his early retirement. Perhaps, the cardinal, wonders, his “attempts at interpreting the document Amoris laetitia in an orthodox way was not well received either”. But Cardinal Müller is not a bitter man. Early last week, Cardinal Müller was in the Netherlands to speak at a congress about recently canonised Pope Paul VI and Vatican II. Katholiek Nieuwsblad (which, as an aside, has recently been expanding its media work abroad, providing translated articles to Crux) has published excerpts from the cardinal’s comments. One snippet, which was shared on social media, was taken by some as a critique on Pope Francis’ focus on certain issues. Reality is a but more nuanced, although Cardinal Müller, in the aforementioned Trouw interview, did not shy away from such criticism. “We can not make the mistake that, as the world becomes more secular, we only provide such answers. The Church is not just important because of her answers to social and environmental problems. Those are secondary matters. The first and foremost task of the Church is to bring people to God. He who is with God can contribute to the development of society from there. We can not replace the Church of Jesus Christ, the sacraments, with a social organisation. “Yes, there is a great confusion in the Church at this time. The reason is that the relationship between the doctrine of the Church and the pastoral care for people in difficult situations is not clear. You can’t accompany and help faithful when you start from the wrong basis. We all know that there are people who are in a bad marriage through no fault of their own. You see, a priest is like a doctor who cares for souls in the name of Jesus Christ. But a good doctor can only offer help when he prescribes the correct medication. You can’t comfort a patient and say, “Listen, you have broken a bone, so I’ll slap a band-aid on it.” You must use the right medication. That means, then, that a priest must explain doctrine in a clear way, whether people accept it or not. Whatever one may think of Pope Francis and his actions – and I do not consider myself to be among his detractors – it is hard to deny that the confusion described by Cardinal Müller – and others with him – exists. But, I wonder, is it up to the Pope alone to resolve this? Of course, when people are confused by his statements, it is not unreasonable to ask for clarification. But, as Cardinal Müller has asserted in the past, we must read papal statements in continuity with the teachings that came before. In that respect, it becomes an obligation to read them in an orthodox way, as the cardinal has tried with Amoris laetitia. Past doctrine does not suddenly become invalid just because the pope who promulgated it is no longer alive. So when we are faced with questions regarding communion, divorce, marriage or whatever matter of doctrine or pastoral care we like, we do ourselves and the persons involved a disservice if we look no further than one document or statement. The Code of Canon law, the social teachings of the Church, even, dare I say it, the Gospels (to name but a few sources) offer clarity and explanations and indications on how to interpret what we may not understand immediately. That is a duty for all Catholics, not just the Pope.